There are four quizzes that span the book. They are short answer and range from 5 to 10 questions per quiz. 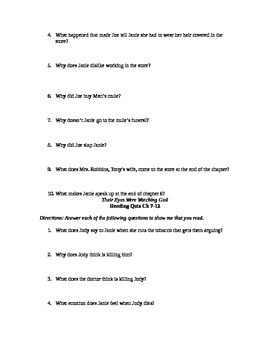 These could be used as a reading guide or chapter questions as well. Answers not include.